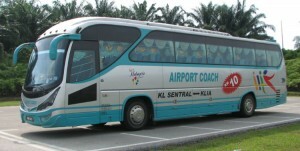 Airport Coach expanded their airport shuttle service in 2014. They started new service from Batu Pahat and Muar to KLIA/KLIA2, as well as the returned service from KLIA/KLIA2 to Batu Pahat and Muar. With daily 6 schedules from Batu Pahat and Muar to KLIA/KLIA2, as well as returned service daily 6 schedules from KLIA/KLIA2 to Muar and then to Batu Pahat, they provide the convenience to residents in Batu Pahat and Muar area to catch flight at airport.